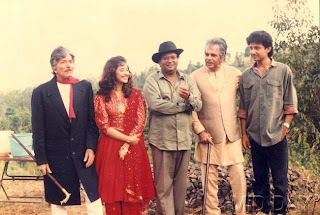 The 80s and 90s were the time of some epic films in Bollywood. Some of the films that come to mind are the films of Subhash Ghai such as Hero, Karma, Meri Jung, Khalnayak and Taal. Even today, we flip a channel and there is a Subhash Ghai movie running on one channel or the other. All his films had a clearly defined and easy to follow narrative that was a hit with the masses and the classes. The characters were etched properly and left a mark and the songs were melodious and catchy. Subhash Ghai was called the showman because of the beauty that he portrayed on screen with each moment. The lighting, composition, and acting were all pitch perfect. He has been a champion of commercial cinema and has been successful in satisfying everyone, whether it is a truck driver or a diamond merchant. An important aspect of his filmmaking is that his films are relevant even today. Many of the characters in his movies are still remembered by the masses and are cited as big influences by the current crop of actors and students of cinema. Subhash Ghai’s upcoming film Kaanchi will release on the 6th of December and we all hope to see Ghai’s magic once again on the big screen. Rishi Kapoor has become a leading face of character driven roles that have negative shades. It started with the menacing Rauf Lala in Agneepath, led to the role of a gangster in D-day and now he plays the role of a flamboyant business tycoon who is the villain in Subhash Ghai’s next film, Kaanchi. Subhash Ghai and Rishi Kapoor have come together after a span of 32 years. Their first film together was Karz. Even though Karz did not do well at the box office, it’s now considered a cult film. Kaanchi will see Rishi Kapoor play a businessman who likes the 3 Gs – Girls, Guns, Guitar. Kaanchi stars Kartik Aryan and newcomer Mishti. The movie is going to release on 6th December 2013. In Bollywood there is always a stereotype that two actors working on the same set don’t get along. But the Kaanchi set tells a different story. Kartik Aryan, who plays the lead actor, and Rishabh Sinha, who plays a negative role, bonded big time on the sets of Kaanchi. 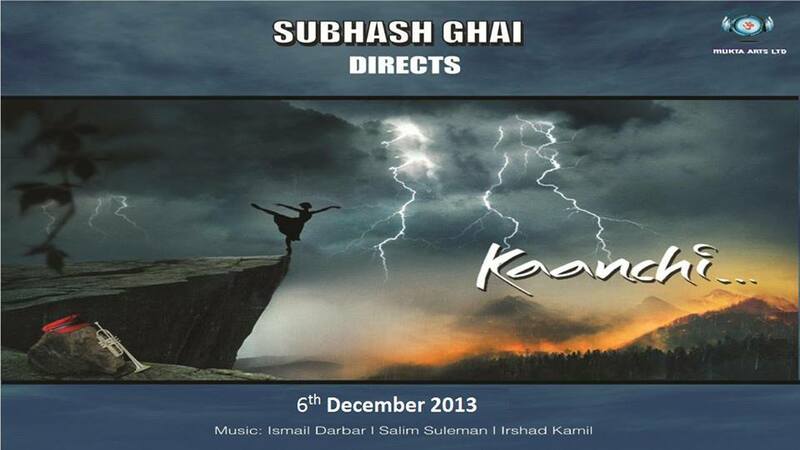 Subhash Ghai’s Kaanchi will release on the 6th of December 2013. Along with Kartik and Rishabh the film stars newcomer Mishti and veteran actors Rishi Kapoor and Mithun Chakraborty. The much anticipated film Kaanchi is going to release on the 6th of December 2013. Kalicharan was a breakthrough role for both Shatrughan Sinha and Reena Roy. 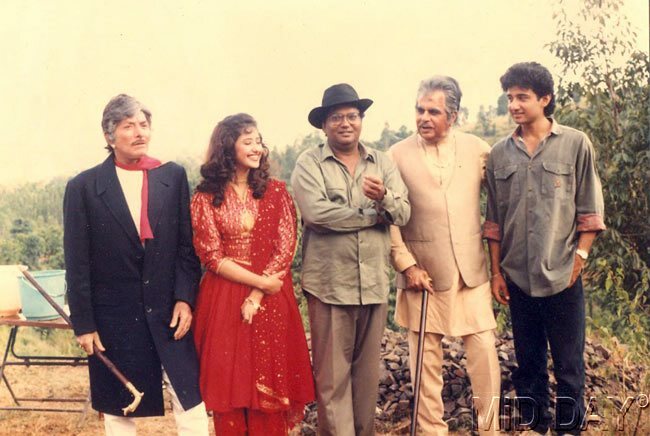 Kalicharan was Subhash Ghai's debut film and it made Reena and Shatrughan the most sought after lead jodi. Even today people talk of their chemistry in the film. Rishi's chemistry with co-star Tina Munim and the incredible dance sequences in Om Shanti Om and Paisa Yeh Paisa created a big furore when Karz released in 1980. The movie was remade in 2008 by director Satish Kaushik. This was also one of many movies in which Anil Kapoor and Madhuri Dixit were paired opposite each other. Their pairing together in the 90s is legendary and they are considered one of the most successful pairs in Bollywood. Taal was a breakthrough film for Aishwarya Rai and the pairing of her with Akshaye Khanna was a hit in Bollywood. The film's beautiful music added to their on screen charm. Will Mishti and Kartik repeate the legacy?